It's IWSG time for February! 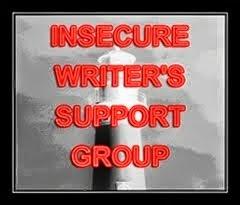 The IWSG is a group that encourages writers and we post every first Wednesday of the month! Come check us out here. -Stay the hell off social media. Not forever, mind you, but just....be on it less. I found that it was crowding my brain a bit too much in 2016. I have not been very successful at this--frankly, there's too many important things going on in the world right now. But I'm learning to temper the crazy with my own brand of crazy. -Maybe finally move this blog onto another platform? I want a more professional look. Maybe. I'll probably change my mind in about five minutes. Done. Sent to a beta, revised, and I just sent the edited version to other betas as well. Also, researchng where I can submit this thig. -Draft and finish "The New Bride of Banner's Edge," which is more Regency romance than historical fiction. I've started the first draft and I think it'll be novella length. Made progress here--I think I can see the shape of the beginning of the story, at least, and I know which direction I want it to go in. -Get back into the research I had done for Pearl and draft her brother Julius's story. Still reading a book that could be helpful here. When I get around to submitting "Haunted Lake," it would be my first time submitting a story to magazines, zines, or websites. What is that process like, writers? Any tips? How has being a writer changed your perspective as a reader? I was a reader before I tried writing and for the longest time, my reading experience wasn't really affected by my being a writer. I got lost in the story. I went on the ride with the characters. And for the most part, I'm still able to read and go on the journey with the characters. But I am a heck of a lot more critical about what I read. There's always a part of my brain that is analyzing the plot, word choices, background characters, and dialogue when I'm reading fiction. I also have more respect for the written word; I don't usually review books on my Goodreads as "this is a bad book." Someone worked on that book, they sweated over that book, they did the best they could--even if it didn't work for me in many ways, I can't just flat-out say, "That was a bad book." I can, however, point to why something I've read doesn't work for me. I've only submitted some poetry once to a literary magazine. I didn't go anywhere, but it was a cool experience, and I got a free copy of the magazine! I would say, for me, that it's more like reading has had an effect on my writing. 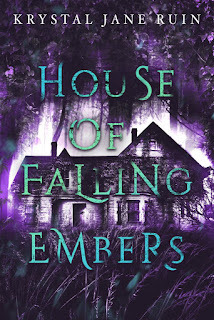 Getting irritated with stuff in books was what helped me to keep plugging away on those early novel attempts when things started to get super rough during the improvement phase. LOL! Being "that English snob person" has had the biggest effect on my reading experience. I notice every single little mistake. Every character and plot inconsistency. I don't harp on it unless it's like really bad and problems happen often. For the occasional blip, I usually just fix it in my head and keep reading. The last time I submitted anything to a magazine-ish thing was in college, to one of the lit mags on campus. I find myself reading and going, "Now why did you decide this was the way to go?" regarding almost....anything. I've had a couple of small things in magazines and Co., but I don't know what tips I could give. Like querying, following the guidelines is key (although these aren't usually laid out too much) Short stories and such, I've handled like shorts to anthologies. Flash fiction, poems and things like that aren't summarized too much in the letter but are sent with the cover letter. As said, watch the individual guidelines. And good luck!!! I hear you on not wanting to say that something's a bad book. I feel like I don't have a right to say something like that because my writing might be even worse. And I know how much an author puts themselves into a work. Saying it's bad seems cruel. Is a cover letter for submission different from a pitch letter or a query letter? There seems to be a lot of similarities in how people have answered this month's question. I can relate to lot of what you've said. Well, we are writers and there must be a commonality in how we process others' words. I'm trying to lessen time on social media as well. It's a battle! It really, really is--I'm having to wean myself off of it slowly.